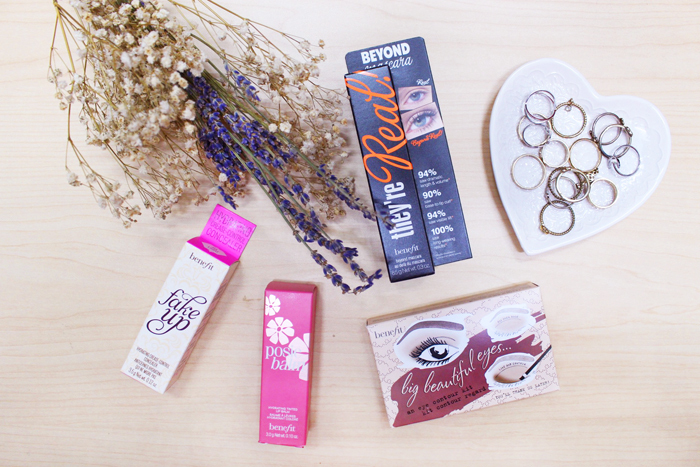 Benefit Cosmetics is now available on Luxola.com.sg! I'm sure most of you have by now heard of Benefit Cosmetics, which is a really popular makeup brand from California! They're usually very recognisable due to the cute packaging! If however like me, you are usually pretty lazy to dress up, battle traffic & head out to town to replenish your makeup items, you can now get them delivered straight to your home through Luxola! Luxola is an online retailer of beauty products that has been around for quite a while now & now they finally stock Benefit Cosmetics (as well as a range of other brands)! I basically selected items which I thought could do a simple makeup look for a casual day out! 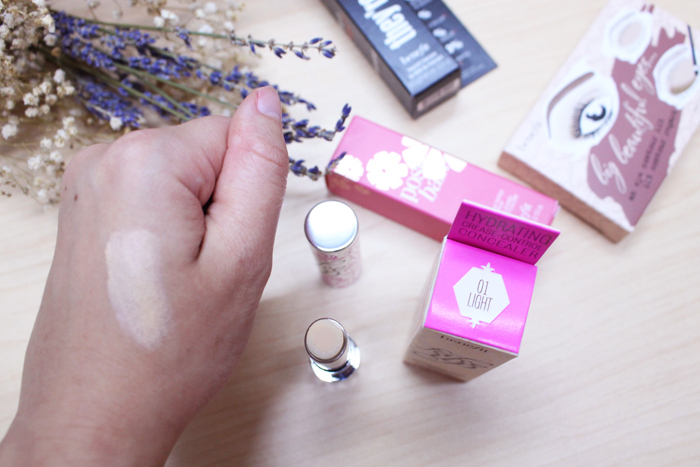 What I love about this Fakeup Undereye Concealer is the mixture of moisturiser & coverage! If you didn't notice, the concealer stick features an inner tinted beige section surrounded by the outer moisturiser, so you get a good mix of both when you apply it. This concealer also contains Vitamin E as well as apple seed extracts to keep your skin hydrated! The concealer glides on easily & feels very moisturising without being overly oily! 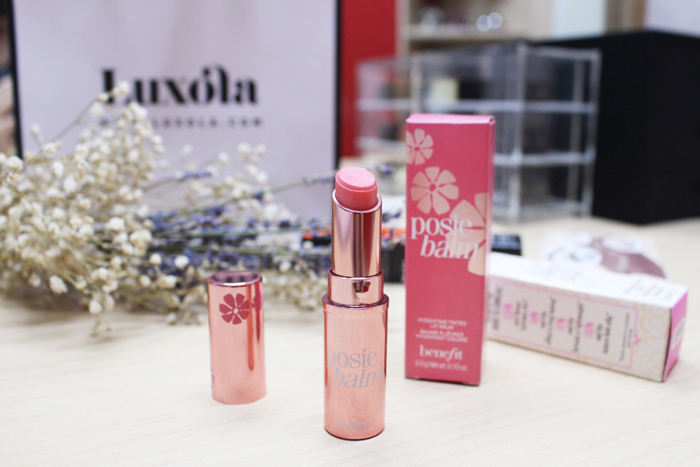 Posiebalm is a non-sticky tinted lip balm that contains mango butter to combat dryness! My lips are perpetually dry & peeling no matter what I do, so lip balm is essential for me. However it's often tough to layer lipstick over lip balm as the colour tends to "run" or "leak" into the tiny lines around your mouth & it just ends up looking smudged or badly applied with no clean lines. 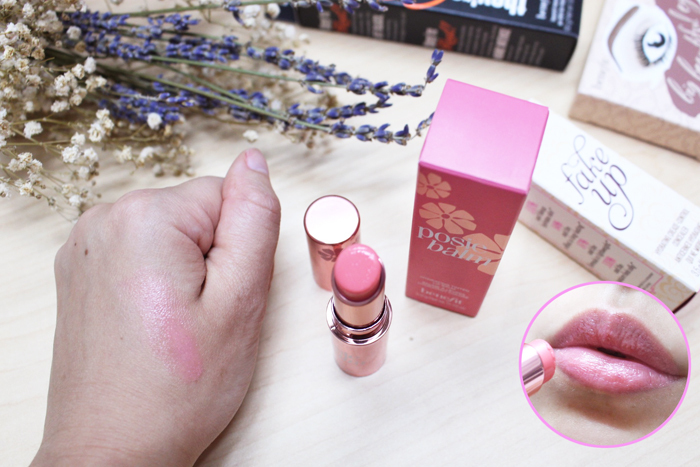 I picked a very sweet, pink shade that's easily wearable on its own! However I also discovered later that this lip balm layers very well with lipstick! I dabbed my normal lipstick over this lip balm (instead of a full swiping application as the lip balm already has some colour) & found that they mixed very well. The colour didn't run at all & was pretty lasting! As you can see, the Posiebalm is a good option for fuss-free makeup days! Perfect for work or school, where you want some colour without overdoing it. 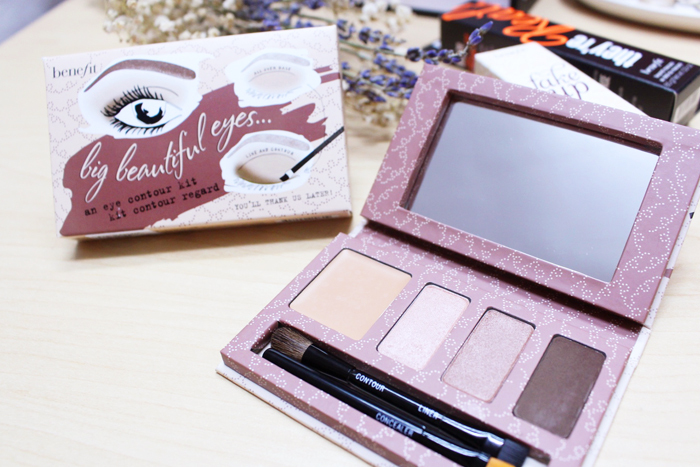 The Big Beautiful Eyes set is a great palette to carry around as it contains concealer + eyeshadows! 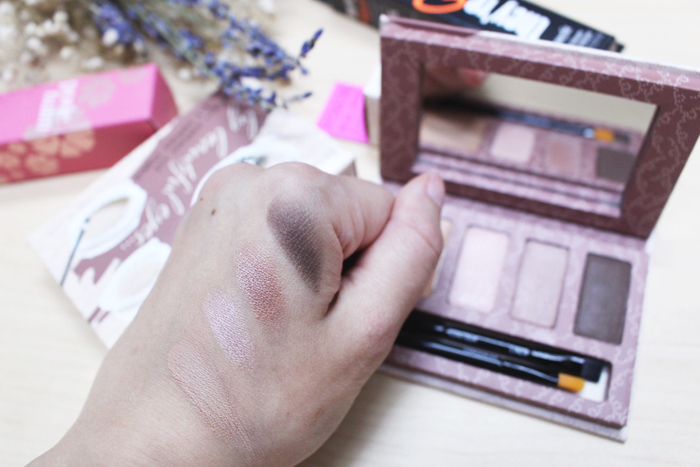 The dark brown eyeshadow is able to double up & line your eyes, without the harsh effect of actual liquid/gel eyeliners. And I simply love metallic copper/brown shades! Very wearable! My favourite is definitely the copper-tone metallic eyeshadow! Just to note, the brown eyeshadow is a little more powdery (good for blending) & less creamy compared to the other two, so there tends to be some flaking during application. I would recommend holding a piece of tissue under your eye to prevent it from getting on your face! 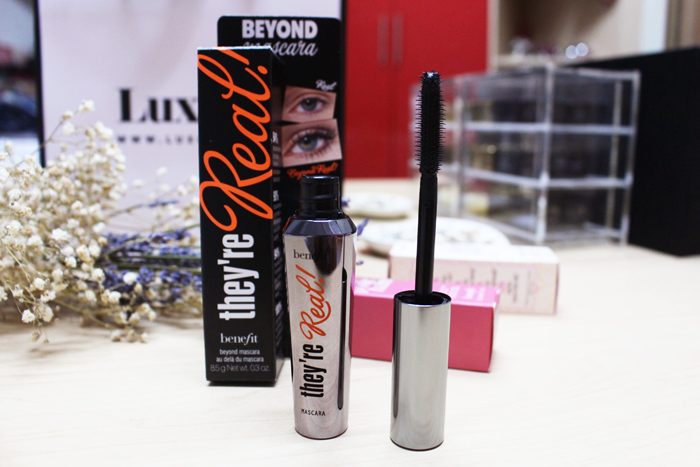 And last but not least, the They're Real! Lengthening Mascara. I picked this in black but it comes in softer shades like brown as well! This mascara is smudge-free & promises to really enhance your lashes! You can check out some of the before/after application pictures online & they're pretty impressive. 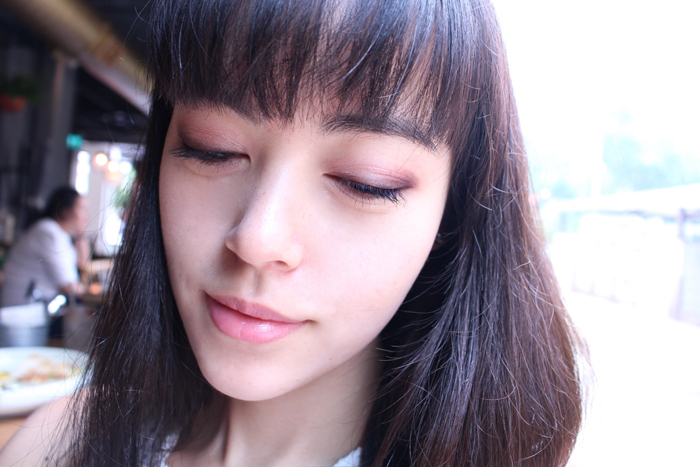 I did a simple makeup look using ONLY the 4 Benefit Cosmetics items above for a casual brunch! As recommended by the instructions in the Big Beautiful Eyes palette, I used the dark brown on the outer edges to create deeper-looking eyes & lined the bottom lash line as well. Using eyeliner on the bottom lash line often looks too overly strong so I do recommend using a dark brown eyeshadow instead, or at least layered together to lessen the abruptness of eyeliner! I even had to forgo my usual wingtip eyeliner that I so love just to test out doing it with eyeshadow instead! It's definitely different from my usual red-lips-wing-tip look that I've been sporting for a while, but it's a nice change! This was pretty much what I looked like during my university days actually, back when I was still into light pink blushes & lipsticks. You can of course add on your own makeup preferences for a different look! 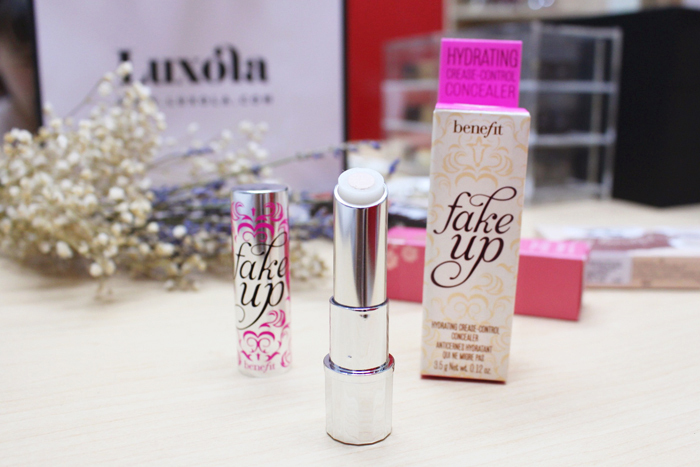 Browse the wide range of Benefit Cosmetics products available online at Luxola.